The New Hope United Methodist Church, located in the northern edges of Weakley County Tennessee, was organized 148 years ago. On November 12, 1831, Walter H. Jones sold to William Spence, James S. Wood, James T. McFall, Jepe W. Ballard, John Davis and William H. Jones, Trustees of the New Hope Meeting House, a parcel of land for $5 upon which to build a house of public worship. This small church building was hewed from poplar logs and was the first of three buildings. Other land was deeded to the church by John S. Wood on August 10, 1842; R. F. Roberts on August 9, 1850, and Abe Sawyers on August 9, 1880. 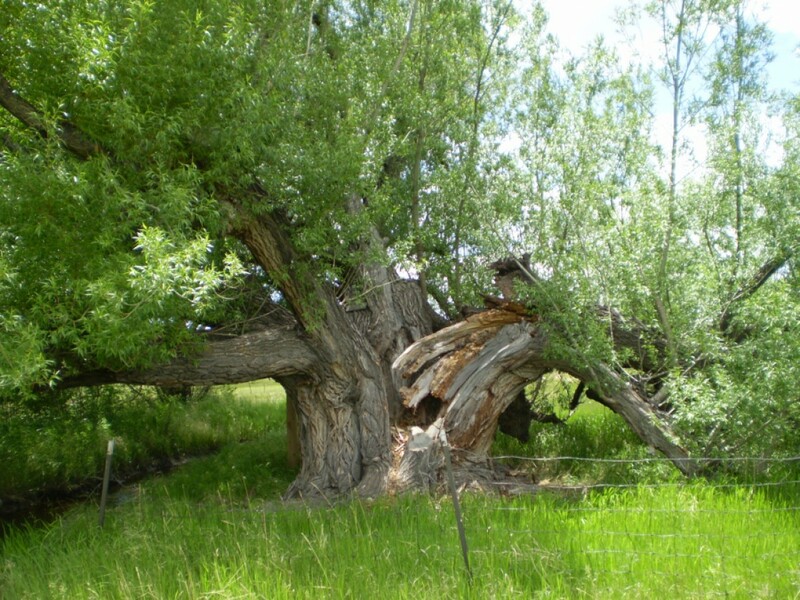 On August 15, 1891, A. Sawyers gave an acre to the church for a burying ground. The church bought land from Mr. Sawyer on July 30, 1895 for additional burying grounds, and on August 12, 1895 land was purchased from T. J. and Sallie Spence. The present structure was built in 1915. A basement was added in 1953 and remodeling of the front entrance was completed in 1963. 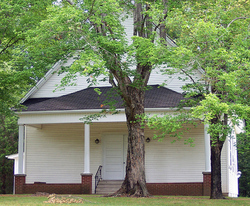 In 1962-63, a new parsonage located on Frankie Lane in S. Fulton was purchased by New Hope and other churches on the charge of Harris and Chapel Hill(1). Filed: October 7, 1856. p. 390-391(2). Tracing William Spence and his family members has been a real challenge. I thought it would be easy at first because of the information I found in Weakley Remembered years ago(4). Like so many older publications, some of the material was in error–and it took me an extra week tearing into all of that. In this case, I think the Civil War was the culprit behind the loss of so many verifiable records. When armies went into an area, they often sacked and burned the courthouse because they wanted to destroy those records. I am reminded of an account I read several years ago where the citizens in a Virginia county put the records on wagons and moved them from place to place with the Union Army behind them. There was a great deal of fighting and sacking and burning in Western Tennessee during the Civil War. So that is the reason for the problem. According to Weakley Remembered, the first settlements there occurred in 1820. Weakley notes that before then, there were few white persons in the area. Then in 1780, “North Carolina issued thousands of land grants” there. Most of these early grants were for military service, or they were land specific(5). Weakley County was created October 21, 1823 and was completed in 1825(6). William Spence, b. March 28, 2809-d. Sept. 24, 1856. Married Nancy _________ (1804-1874). Both buried in the New Hope Cemetery near Ruthville, Weakley County(7). A son William’s age still appears in the Elisha Spence household in Davidson County, Tennessee on the 1820 Census(10). William would have been eleven years old. By 1825, he probably went out to Perry County where his brothers Samuel and Daniel and his sister Milly Catherine Spence Jones were living. Other Spence relatives resided in that area, including Amos Spence (1800-1830) and his brother Jordan Pearce Spence (1792-1878)–sons of Edward Spence (1760-1802) and Esther Pearce (1765-1800). [Another brother of Amos and Jordan, William Spence (1795-1869), resided in Davidson County, Tennessee. He appears on the records there as early as 1810, so he must have relocated to Tennessee with the Elisha Spence group.] By 1830, William of Weakley’s brother, Levi James Spence, returned from North Carolina and settled in Madison County, also in Western Tennessee(11). William married Nancy Hale (1810-1874), reportedly in Tennessee based upon the birth of their first child the following year. However, several of his older children were born in North Carolina until 1840, when he first appears on the census for Weakley County, Tennessee(12). His son, Samuel Spence, appears on the 1860 Census for Weakley County with a birth place listed as North Carolina(13). It is possible that William returned to Randolph County, North Carolina where a large family of Hales lived. That’s where he met Nancy Hale, and they were married in North Carolina and not in Tennessee. (To date, I have not been able to find anything about her family. I’m beginning to think that she was an orphan who was raised by another family. If this is true, it would explain part of the mystery coming up later in this article.) Rebecca was the first daughter born in Tennessee in 1839–so they would have been in Weakley County by then. b. Joseph Lane “Bud” Spence (1854-1932). Joseph was born November 11, 1854 in Weakley County Tennessee, and he died December 27, 1932 in Martin, Weakley County, Tennessee. His wife was Margaret Elizabeth Dunlap (b. 1850). I only have his children’s names: (I) Bud Spence; (ii) Willis Spence; (iii) Rice Spence; (iv) Mozell Spence; (v) Fannie Spence; (vi) Lockie Spence; (vii) Edna Spence; (viii) Leila Spence; (ix) Ellen Spence. Those names are listed in Weakley Remembered(14). 2. Sarah Spence (b. 1834). She married Thomas James. I have no additional information. Additional children for Thornton are listed in the “Mystery” section below. 4. Rebecca Spence (b. 1839) I have no additional information. 5. Joseph Washington Reed (1840-1925). Joseph is the mystery in the family. He will be discussed below. 6. Mark Spence (1843-1874). Mark was born about 1843 in Weakley County, Tennessee, and he died in Weakley County in 1874. I have no additional information. 7. Daniel C. Spence (1845-1870). Daniel was born in Weakley County, Tennessee, and he died July 20, 1870 after a horse fell on him. I have no additional information. 8. John Spence (b. 1848). No additional information. —Seeking information on the SPENCE family of Weakley Co TN. Bible records show that Thorten Spence b. 1836, d 1908 married Sarah E. MORGAN. She was b 1856 d 1940. Children born between 1875 and 1896 were: W.D. Spence, Jim J. Spence, N.L. Spence, Sarah Elizabeth Spence, Robert Pain Spence, Martha Jane Spence, Thorton Van Vuron Spence, John Wesley Spence, Luther Mark Spence, Ruth Anna Spence. Thornton SPENCE’s father was William SPENCE b. 1809 d 1856. His mother was Nancy ? b. 1804 d. 1874. Yes, Sara, I believe there is! This question has perplexed me for years. I didn’t unravel it until recently, and believe that I finally have it figured out. Joseph Washington Reed was born March 8, 1840 in Weakley County, Tennessee, and he died July 27, 1925 in Weakley County. He was the son of Wilson D. Reed (1802-1865) and Louisa Spence (1814-1840). Wilson’s family wasn’t difficult to find. He was born in 1802 in Warren County, North Carolina to a J. W. Reed (1785-1857), and he died after 1865 in Warren County, Missouri. He appears on the 1860 Census in Howell County, Missouri, but he apparently died after 1865 in Warren County. One possible reason for his move? He served in the Union Army during the Civil War! Your messages are very exciting!! My GGGrandfather Joseph Washington REED (born 1840) the son of Louisa SPENCE Reed named his first son Samuel James and the second son William Joseph and my Grandfather Martin Alonzo (Martin is a family name in the wife’s family). The daughters were Ida Eugenia, Margaret Louisa and Minnie Ina. Louisa’s husband. Wilson REED went on to Missouri where he is found in 1860 census with a new wife and children in Howell County. Do you know of connection of the SPENCE family with a CONNER family? The home (inn?) where Wilson and Louisa SPENCE Reed stopped in Weakley Co to have the baby was owned by the Samuel CONNER family and the CONNER family raised the child. Joseph Washington REED. They called this little community there in Weakley County “Pasquotank” I understand from oral family tradition. Wilson’s second wife’s name was Martha (last name unknown), and they had the following children: (a) Eliza J. Reed (b. 1846); (b) Alonzo Reed (b. 1849); (c) Thomas M. Reed (b. 1851). His wife Martha filed for his Civil War Military Pension April 23, 1891, so he may have lived until then(19). I do not know of a specific connection between that Conner family and the Spence family of Weakley County. Since Joseph appears on the 1850 Census in William’s household, I believe the Conners took care of him until they could find a family for him. They knew the Spence family in Weakley and they also knew that Louisa was a Spence. But the story goes much deeper than that. Louisa was related to William Spence. She knew William and his family resided in Weakley County. That is why the Reeds were trying to make it there before Louisa had her baby. The following is a summary of my research. My conclusions result from the research presented here. The name Louisa was prominent among the Pasquotank Spence families. William Spence’s twin sister’s name was Rhoda LOUISA Spence. In order to understand this narrative, I need to go back to the progenitor of Louisa Spence Reed’s line: Isaac Spence (1722-1806). Not a great deal is known about Isaac Spence beyond his dates. Many people think that he was born in Duplin County, North Carolina. But that county wasn’t formed until 1750 from New Hanover County. Some people think he came from Virginia, but I could find no satisfaction there. The more I fussed around with this thing, the more I was able to conclude that Isaac was born in Pasquotank County, North Carolina. But to which family? Sara Stinchcomb was right when she said that Wilson Reed would not have galloped off until assured his son was in protective, caring hands. It is important to remember something else. William Spence returned to North Carolina and was first in Randolph County and then Pasquotank. Quite possibly, William knew Wilson and Louisa Spence Reed. William and his family returned to Tennessee about 1839. Wilson and Louisa were married about 1839. William and Nancy may have relocated to Weakley after the wedding! So my search for Isaac Spence’s family targeted William Spence’s line. After digging through my old North Carolina Research Notebook and reviewing everything I discovered about Isaac Spence, I discovered what I was looking for–something I at one time considered. 1. Isaac Spence (1722-1806). Isaac was born in Pasquotank County, North Carolina, and he died in Pasquotank County in 1806(20). His wife’s name was Esther, and nothing else is known about her. Isaac and his twin brother William Edward Spence (1722-1785) traveled about North Carolina together. Isaac first appears on Pasquotank records on the 1786 Census(21). He also appears on the 1790 Census for Pasquotank County(22). Isaac and Esther Spence had two children: (a) Isaac Spence (1745-1820) and (b) Nancy Spence, who died after 1806. Nancy is the only child listed in Isaac’s will. By 1806, his son Isaac had re-established himself in Duplin County. The rest of this narrative will be devoted to Isaac Jr’s line. John Spence (1770-1830). John was born in Duplin County, North Carolina in 1770, and he died in Cumberland County, North Carolina in 1830. His wife was Rhody Rebecah Dean (1780-1870). Their children were: (a) Delila Spence, born 1801; (b) Timothy Spence (1825-1850); (c) Martha Spence; (d) Olivia Spence; (e) Nancy Spence(23). According to The Heritage of Harnett County, North Carolina: “John Spence moved from Duplin County to the area that is now Harnett County just before Thomas Jefferson became President (about 1800). Then his father and two brothers moved up to join him. The father, Isaac Spence, was born about 1745, and records show his marriage in Duplin County in 1769, six years before the beginning of the American Revolution. The brothers were Timothy and Elisha. John bought land on Neill’s Creek and Hector’s Creek in 1805. His father and brothers sold all of their holdings in Duplin and began buying land in Harnett. Timothy built a log house near what is now the Christian Light Community. In the woods, a few hundred yards off the paved road, is a graveyard where the first Spence settlers are buried. The grave markers are large stones bearing no lettering(24). Timothy W. Spence, Jr (1771-1852). The subject under discussion here. Elisha Spence (1775-aft 1840). (When I discovered this Elisha Spence, I understood where my fourth great-grandfather (Elisha Spence) obtained his name. This Elisha Spence was born in 1775. My Elisha Spence was born in 1776). Elisha Spence was born in 1775 in Duplin County, North Carolina. After the deaths of his parents, he moved to Johnston County, North Carolina, where he married Nancy Wood, Jr. on November 25, 1823. I know nothing else about her but tend to connect her surname with the same Wood or Woods family in Weakley County, Tennessee. (William Spence’s son, Samuel, married Sarah Wood (b. 1830). Unfortunately, I do not have the names of Elisha and Nancy’s children. Elisha last appears on the 1840 Census for Johnston County, North Carolina(26). The father of Louisa Spence Reed, Timothy W. Spence was born June 4, 1771 in Duplin County, North Carolina, and he died May 3, 1852 in Cumberland County, North Carolina. I would like to think his middle name was William! In 1791, he married Martha Futch (1778-1853) in Barnwell, South Carolina. They had a large family. Each time I look into their family, I find someone new–so that is something I need to research later. For now, I am going to list the names that I have and will focus on Louisa here. Whenever I complete the study of this family, I will write a later article. Louisa Spence (1814-1840). Louisa was born November 4, 1814 in Cumberland County, North Carolina, and she died in childbirth March 8, 1840 in Weakley County, Tennessee. She was the wife of Wilson D. Reed (1802-aft 1865). 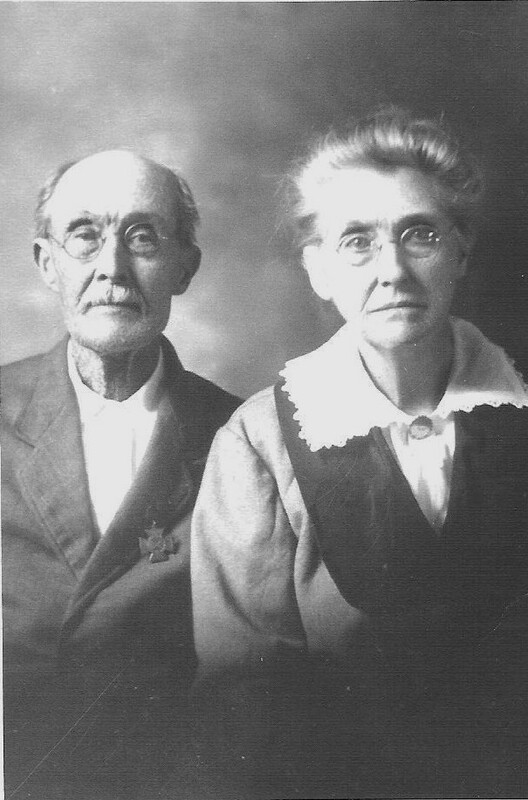 They are the parents of Joseph Washington Reed (1840-1925). Wilson’s father’s initials were reportedly J.W. Reed. Perhaps his full name was Joseph Washington Reed. Joseph (1840) was named for his grandfather. There are other significant names involved in this study. One of them is Reed. Louisa Spence’s husband was a Reed, whose father’s name was apparently J. W. Reed. However, Louisa’s uncle, John Spence, married Rhody Rebecah Dean (1780-1870). Rhody was the daughter of Hardy Robinson Dean (1740-1823) and Elizabeth Jane Reed (1752-1823). Hardy’s family came from England and settled in North Carolina. But Elizabeth was possibly an orphan. She was taken to New England where she was raised by Ezra Dean (1718-1806) and Sarah Snow (b. 1719). No one knows the identity of her real parents, but her surname was Reed. Ezra Dean was a descendant of Walter Dean (1612-1693) and Eleanor Strong (1613-1693) of Taunton, Bristol, Massachusetts. They evidently raised Elizabeth as their own daughter–a theme that runs throughout these family lines. Eventually, she returned to North Carolina, where she married Hardy Robinson Dean. There is a possibility that Wilson Reed and Louisa Spence were distantly related. I don’t know whether Wilson D. Reed ever reconnected with his son. Joseph Washington Reed used the Spence surname while he was living in William’s household. But they did not hide his parentage from him, and he used the Reed surname when on his own. William Spence died in 1856 in Weakley County, Tennessee. His will dated September 19, 1856 lists his wife Nancy, son Thornton, daughter Sarah. Daniel Spence was Executor of his estate along with William Cloar. The witnesses were CM Wheeler and J.M. Bennett. It was filed October 7, 1856(27). After his death, Joseph (a blacksmith) went to live with the Conners at their inn, where he appears on the 1860 Census(28). Joseph Washington Reed died July 27, 1925 in Weakley County, Tennessee. 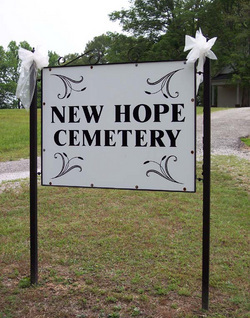 He was buried July 28, 1925 in the New Hope Methodist Cemetery, Weakley County, Tennessee–the same cemetery where the William Spence family is buried. (1) Weakley County, Tennessee Cemetery Listings. p. 376. (2) Weakley County, Tennessee Will Book A–1828-1842. (3) Tennessee Marriage Records about Elisha Spence and Jane Bell. Ancestry.com, Provo, Utah. Date Accessed: 10 Sep 2015. Available online at http://www.ancestry.com. (4) Baker, Pansy, Nancy Reynolds, Charlotte Stout. Weakley Remembered: Weakley County, Tennessee. Skullbone Printing, Bradford, Tennessee. (5) Weakley Remembered, Vol. 2, p. 4. (6) Weakley Remembered, Vol. 2, p. 4. (14) Weakley Remembered, Vol. 3, pp. 85-86. (16) Sara Reed Stinchcomb, Spence-L Digest. Rootsweb.com. Message posted 24 May 1996. [May be in the old archives] http://www.rootsweb.com. (27) William Spence Will Abstract: Will dated 19 Sep 1856; Filed 7 Oct 1856. Weakley County, Tennessee Will Book A 1828-1842, p. 390-391.